With immense respect, dignity and above all; coolness. Souris River Protocol requires that your car selection should always be thoughtfully considered before setting a Souris River Carbon Tec on top. 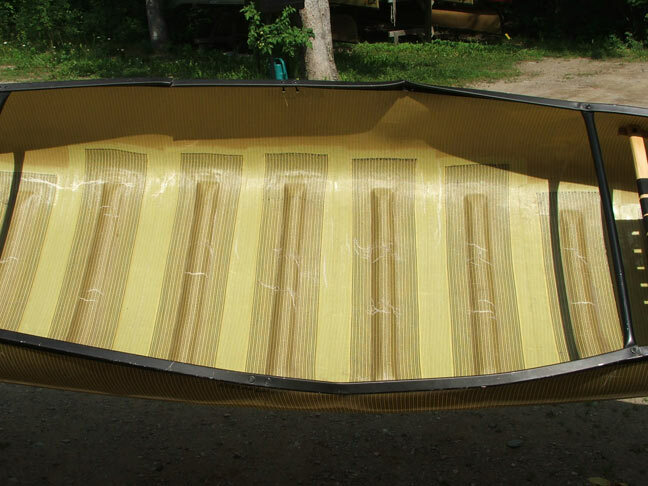 Remember, it’s not just any old carbon fiber canoe – It’s a Souris River! Note: If you have a different model car than the ones depicted below, your Souris River will understand. They are very forgiving canoes! Edie and I took 2 friends in another canoe out in a protected bay adjacent to Lake Erie (Erie, Pa) to see bird and duck migration. We saw 6 ducks for our efforts. Crossing the 4 x 2 mile bay on the way out we had 15 knot winds broadside which was okay. On the way back we had 20 knot winds and 2, maybe 2-1/2 foot waves very close together in this shallow bay, but this time we were trying to angle back into them to get back to the launch area. Canoes seem to want to stay broadside to the waves, at least my friend’s Wenonah Odyssey and the Quetico 17 did. I’ve experienced this before. Both canoes were being pushed sideways towards a metal bulkhead forming the entrance to Lake Erie. My friend is an experienced canoeist, but having suffered leukemia several years ago has not regained all of his original strength. The woman with him wasn’t a very good paddler. We stayed with them for about 20 minutes but all they seemed to be able to do was drift along towards that breakwall making as much progress sideways as forwards. We were doing about the same staying with them. We finally yelled for them to hold themselves against the breakwall while we paddled back to the launch ramp about 2-1/2 miles away. We couldn’t figure out what else to do to help them. Edie and I could barely hear each other over the wind and waves. I was unsure if we’d be able to paddle effectively since I was unable to hold us into the wind with Edie paddling opposite me. We finally gave up traditional paddling protocol and did sweep strokes on one side, got ourselves into the wind and proceeded onwards at perhaps 1 mile/hour with waves and spray coming over the bow regularly. We needed corrective strokes every few minutes but Edie got the hang of it fast and switched sides quickly. I had just purchased and installed one of Dan Cooke’s canoe covers and had snapped it on before the return trip just to test it out. It got a good testing, and after 2 hour’s paddling in those waves we had perhaps a quart of water below. Not bad. My friends in the other canoe managed to call for rescue via cell phone. A paddling enthusiast on the park above the breakwall saw them, realized they were in trouble, and grabbed a paddle to hold them steady until rescue arrived. Eventually the Coast Guard helped hold the boat while the fire department got an improvised ladder down over the bulkhead, pulling them up to safety, their canoe following them. It’ll take some sanding and varnishing to restore the wood gunwale but that’s about all. We could have made a rescue call but in the confusion thought the cell phone was buried in our gear under the canoe cover. It was in Edie’s pocket all along. We’ll have to remember to keep it handy in the future. I don’t know if there was anything we could have done for them had we stayed along side except offer the dubious reassurance that someone else was in the same fix as they. There was no hope of us towing them. The Coast Guard boat heard we were out there and eventually located us paddling half way back to the launch ramp. They were none too pleased to see us. By that time we had worked the paddling out, knew there was no swamping with the canoe cover and certainly no chance of capsize. We’d been out in bigger waves in Lake Erie but lesser wind. We managed to calm them down and told them we were doing fine and thanked them for their concern. They didn’t believe us and hung off about 3/4 of a mile watching us, I’m sure, through their binoculars. They did manage to yell to us before leaving that our friends were rescued and safe and getting a lift back to their car. That was a great relief as most of our concern was not for us but for them. They came back about 1/2 hour later in a much better mood, this time realizing that we were doing fine. They told us they were heading back to base and we again thanked them. They seemed impressed with the canoe cover. I guess that convinced them we were not just another couple of turkeys who’d screwed up. We had a great time, learning lots about dealing with higher winds, waves and how the canoe cover works. We’ve got a few alterations to make to it, mostly suspender type straps over one shoulder to keep the spray skirt from slipping down and creating a place for water to pool and pulling it down further. Edie was constantly getting soaked, and stopping to yank on the spray skirt to get the water off. I don’t remember being scared. It helped to have been out in Lake Erie before. Mostly we were worried and guilty about having left our friends. It was a good lesson in what another boat can’t offer in the way of assistance, and how illusory is the notion of safety in numbers. Our friends arrived at the launch ramp a few minutes after we did, having retrieved their boat. They seemed to be fine and not too upset. I credit them with keeping cool heads. I wonder if what you wrote about the Wenonah canoes being unable to turn into the wind was what made the difference between our experience and theirs. It’s easy to think Edie and I are such fine paddlers that our superior strength and experience got us back under our own power. But my friend is a much more experienced paddler than I am and I’m not sure there was that much of a difference in strength or technique between Edie and the other bow paddler. Maybe our canoe was just a better craft in those conditions. We aren’t about to call it a season anytime soon, so we may have to include an ice axe along with the paddles. Snake Falls – Super Canoe! This is a Souris River Prospector 17.5 which went for a wild ride down Snake Falls in the Quetico Park. I don’t have the full story yet, but the photos tell a lot. Upon examining this Souris River first hand, it appears that it was pretty much flattened out by the tremendous force of a billion gallons of water pushing it against a rock. 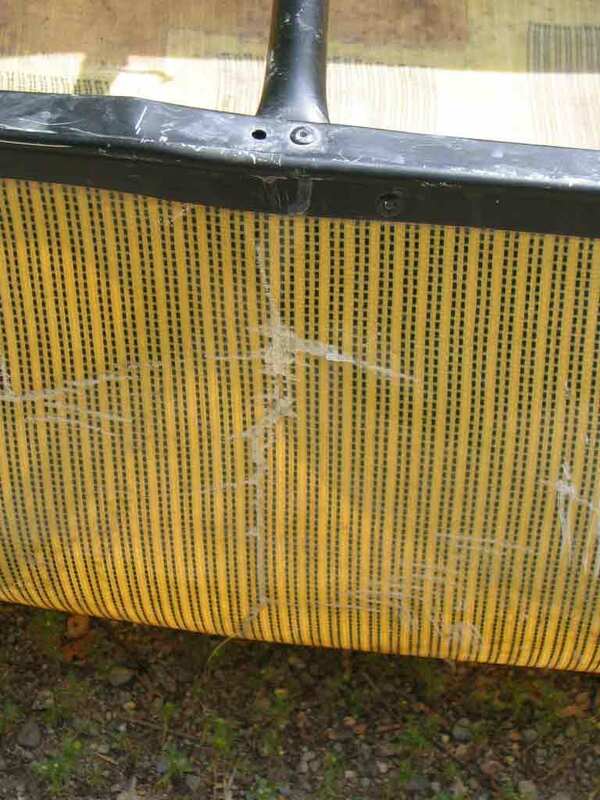 This occurred 2-1/2 days travel by canoe from Ely – definitely not close to home. The two guys peeled it off the rocks, kicked it back into shape and paddled it back to Ely. They sealed leaks with duct tape and reinforced the sides with birch saplings where the gunwales were wiped out and headed back home. None of the flexible ribs were torn out of the canoe. All of the ribs still functioned normally. Notice the seats? They are still fully intact with all of the rivets were in place. Even royalex has a hard time keeping its seats intact after a catastrophic event like this. 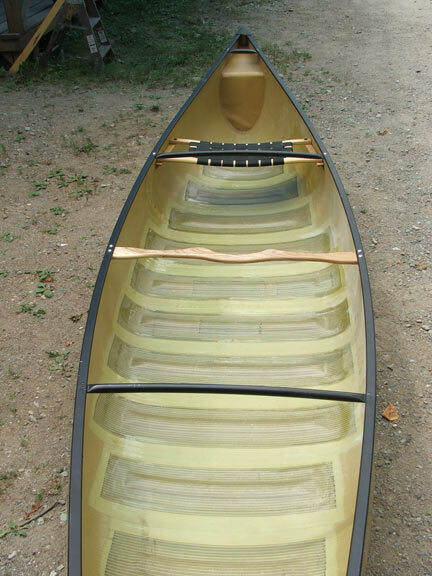 With polyester resin, kevlar canoes (like Sawyer, Wenonah, Mad River, Bell, Nova Craft, Seda, etc.) 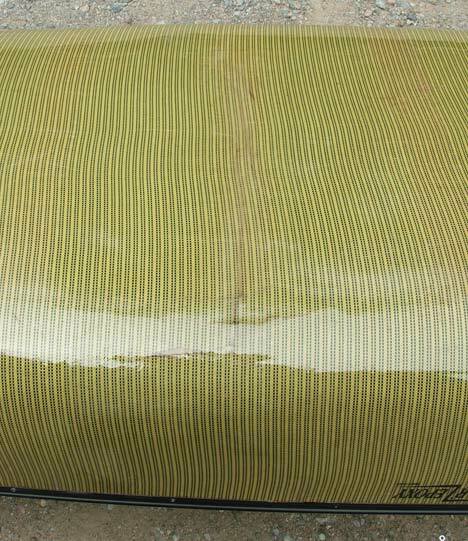 I highly doubt that the seats would have remained intact, much less useable. 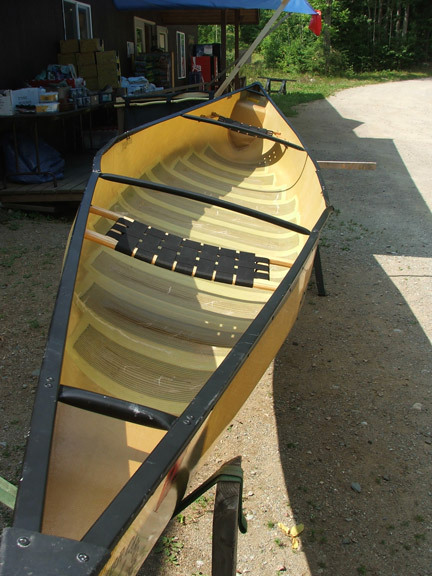 Without the flexibility of Souris River’s unique Epoxy resin recipe combined with their unique , I suspect that ANY foam core canoe would have come home via rescue airplane – in a bushel basket. 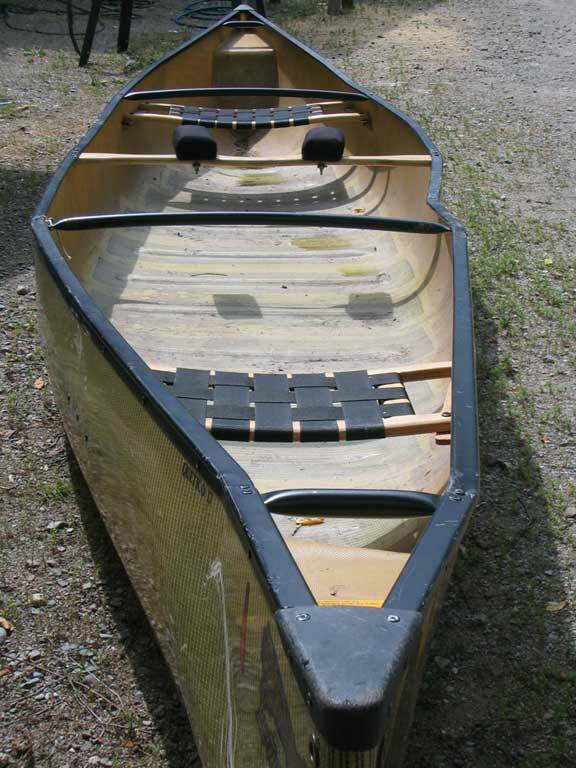 So if you REALLY need to get home, make sure your canoe is truely capable – and for an added plus – stay out of rapids! An outfitter up on Crane Lake went out to pick up a party at a Boundary Waters entry point. He went a little early. These two guys on the trip had been out for seven days and sometimes paddlers come back early. The point he arrived at has a view of the final portage required to cross with a short paddle to the mainland. The portage goes along the rapids. As he stood there looking in the general direction of where the party would be coming, he spotted them. Seven days earlier, these two guys came in to be outfitted. 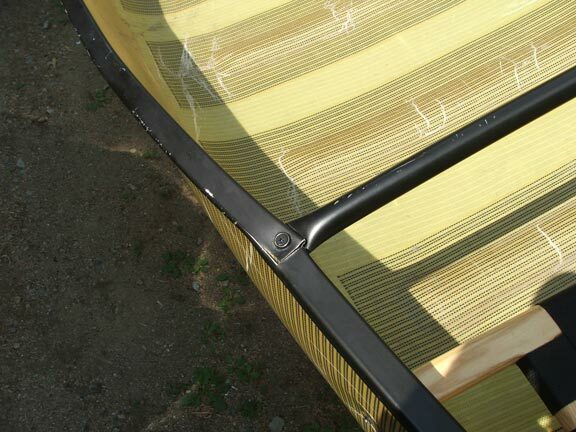 They wanted to fish and they wanted a kevlar canoe for its light carrying weight. 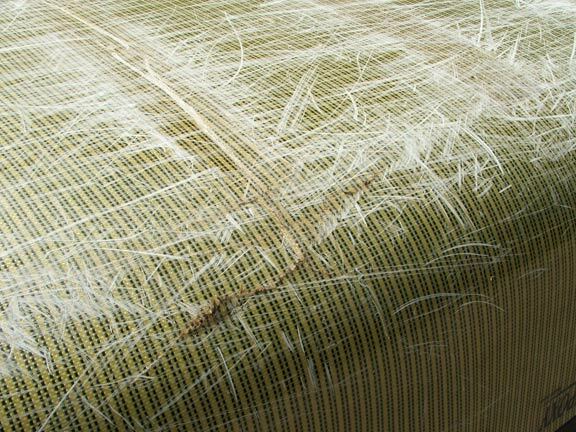 Knowing this the outfitter selected a brand new Souris River Wilderness 18 in kevlar. 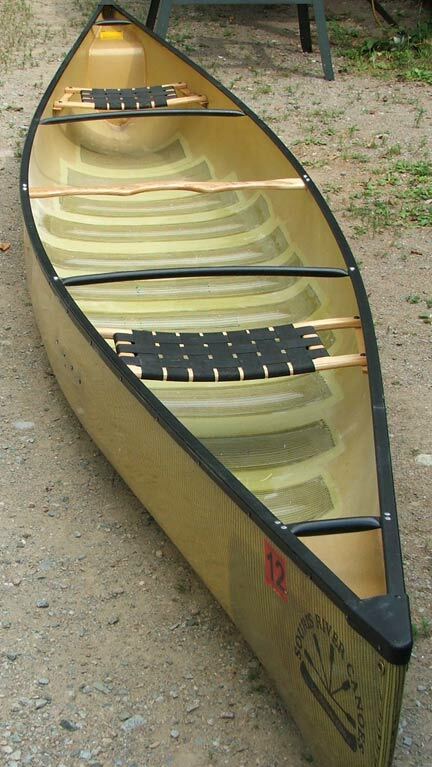 This large canoe handles well in all sorts of lake conditions including really rough water, and it’s easier to turn and control than a lot of other kevlar canoes out there. Plus at 45 lbs., carrying it is a snap. It definitely is not made for white water because it does not respond in turns quickly enough for rapids. But this was going to be a portaging trip because that’s why they wanted a really light canoe… At the top of the rapids they hovered. Only 75 yards from the outfitter, they contemplated. the portage was a short one, but it was still a portage. The rapids don’t look too ugly (they never do from the top to the unexperienced eye). The outfitter could almost hear that oh-so-familiar-oh-so-dumb battle cry they confirmed to each other as they began their foolish descent, “Oh, what the heck”! Sure enough, they let loose and started down the last rapids of their trip. Then, with only seconds of experience under their unknowing belts, the inevitable happened. Suddenly turning sideways and with hollers that would make even Rambo look up, they rolled the Wilderness 18 in the current. As the pilotless Wilderness 18 jettisoned Duluth packs, fishing rods, and loose camping gear, it filled up with water and wallowed helplessly down stream. The unrelenting current swept it down towards its supposed death; big canoe-stopping rocks ahead. It came to rest sideways upon a large rock, bottom of the hull facing upstream, the carrying yoke being forced into an unmoving rock. Although the river was not really deep, the water pressure was more than the hull could stand and it buckled. Like a big piece of cardboard, the bow met the stern of this 18 foot kevlar wonder and made a complete wrap around that rock. The two paddlers waded down to the canoe and peeled it off the rock. Once the Wilderness was above the rushing water, the two paddlers each grabbed an end and pulled. 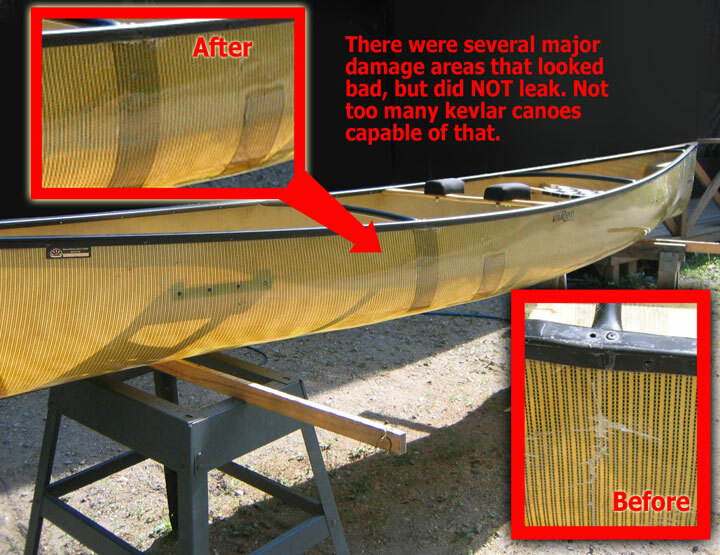 The canoe literally popped back into shape. Now near the bottom of the rapids, each got back into the canoe, paddled around sheepishly picking up the remaining floating gear, and then paddled into the landing where the irate and amazed outfitter was waiting. Upon inspection, the Wilderness 18 showed little sign of damage. 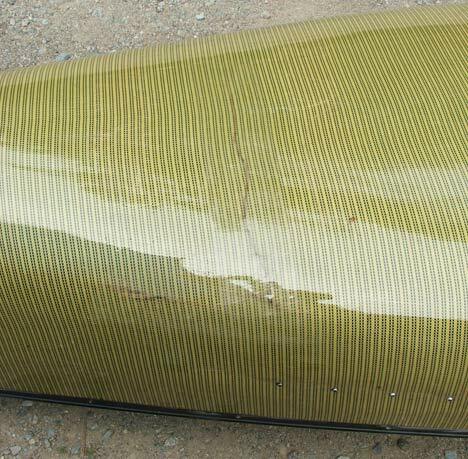 One of the ribs tore out right where the worst fold of the canoe occurred in the middle. 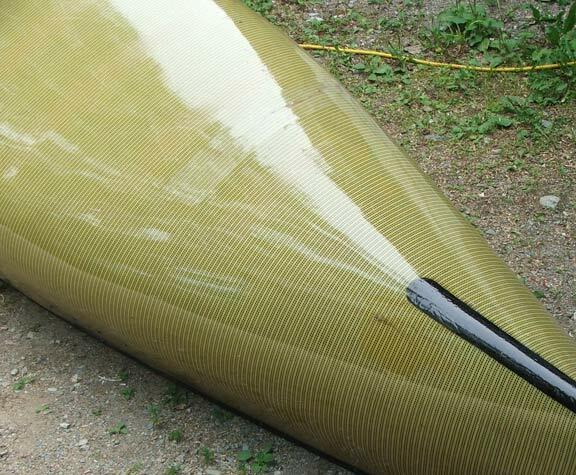 With the exception of the badly kinked gunwales, it was hard to tell that the canoe was folded in half like a clam. At the fold-point there was no damage. It was perfectly paddle-able. Not many canoes can do this anywhere. With the exception of Royalex, not many canoes can wrap and survive. 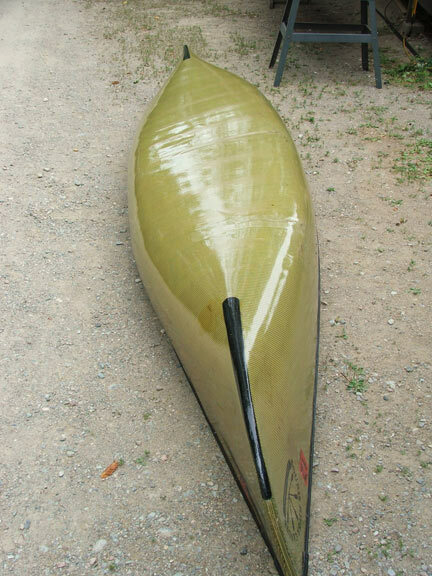 Even so, the paddlers became the proud owners of an amazing Souris River Wilderness 18 in kevlar after the outfitter charged their Visa card. As I write this, the canoe season is fast approaching, and by the time the rivers open, I’ll be ready to get back on the water. I’ve scarcely dipped a paddle in Wisconsin waters since last April, however, when I nearly drowned on the Yahara River. Not only did I suffer the embarassment of the dumping in one of the tamest rivers anywhere, I nearly totaled my brand new 17 foot, 52-pound Souris River Prospector, wrapping it around a piling at the County N bridge in southeastern Dane County. So if the best stories are those you live to tell about, then this one bears recounting. Three friends and I had set out in two canoes for a leisurely five-mile paddle south of Stoughton. The Yahara runs slow and wide here, finally narrowing to a dam near the town of Dunkirk. We portaged around the dam, then put our boats back in, figuring to get a thrill in the fast water before taking out at the bridge a half-mile downstream. After negotiating the spillway, however, we suddenly found our path blocked by a “sweeper,” a downed tree branch capable of trapping a canoe – or a canoeist. Three basic rules of river paddling are: a) watch out for sweepers, b) scout any potential hazards before running them, and c) never play near dams. I ignored all three, figuring the Prospector with its upturned bow and smooth-bottomed hull was capable of clearing a simple fallen tree. But within seconds the sweeper had us turned sideways and pressed against the branches. In a panic, I violated basic rule No. 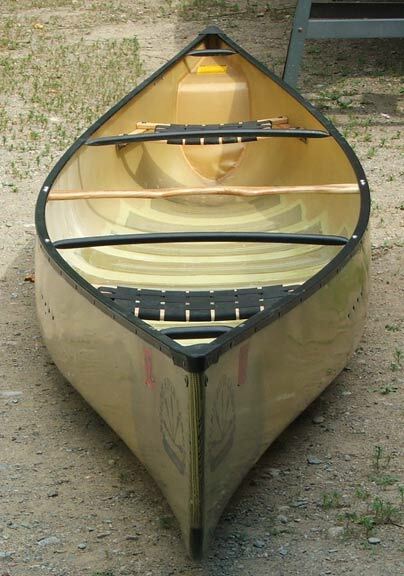 4 by leaning upstream instead of down, allowing the river to pour in over the exposed gunwale, filling the canoe and dumping my bowman and I into the chilly April waters of the rain-swollen Yahara. Clinging to the downed tree, water rushing past us, not wearing our PFDs, we watched in horror as the big blue canoe turned upside down, slipped past the sweeper and floated downstream to a fateful rendezvous with the County N bridge. Fortunately, we were able to scramble over the sweeper and pull ourselves up on the riverbank as our friends watched in disbelieve from the safety of an upstream eddy. 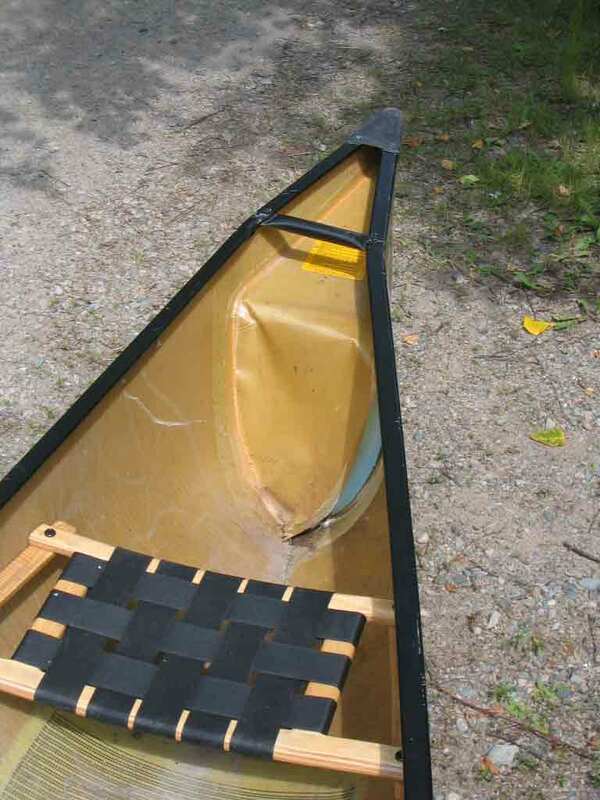 You don’t really appreciate the power of moving water until you try to budge a wrapped canoe off a stationary object. For a time, I considered just leaving the boat, a monument to the stupidity of amateur canoeists. But considering the historic significance of the name Dunkirk, I wasn’t about to abandon this canoe like British Army equipment on the beaches of France in May 1940. So with a winch around the portage yoke and lines at both bow and stern, we finally rescued the Prospector. Amazingly, it popped back into shape, a duct tape repair from being usable in an emergency. 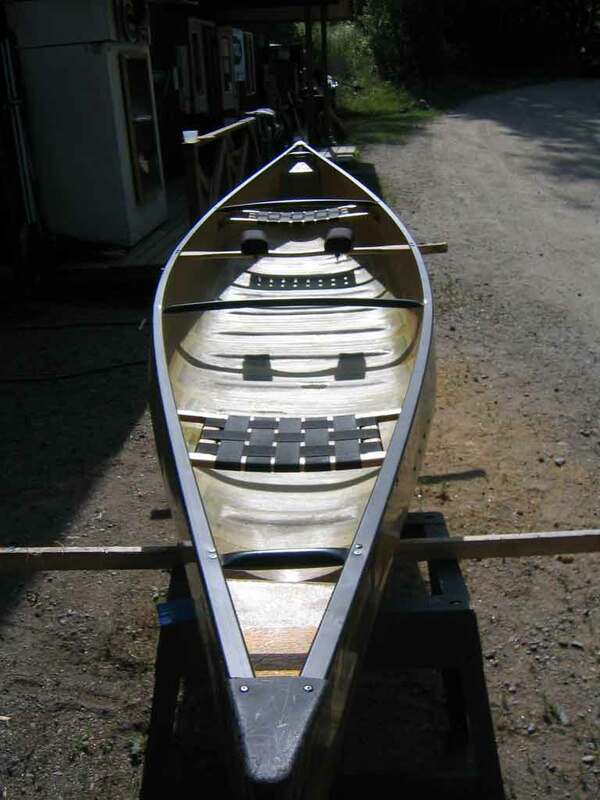 The next day, I car-topped the battered Prospector to Carl’s Paddlin’ in Madison, Wis., where owner Carl Busjahn told me the boat was repairable, thanks to the Souris River epoxy resin construction system. 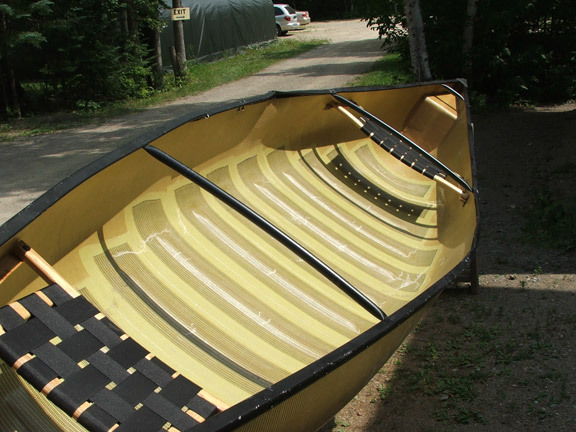 Based in Atikokan, Ontario, on the northern edge of the Quetico Provincial Park, Souris River manufacturers about 350 canoes a year. 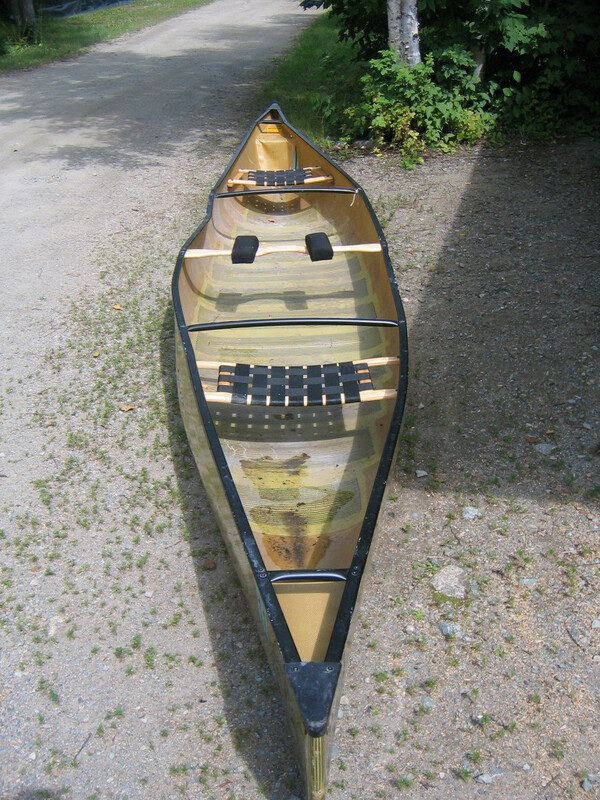 President Keith Robinson prides himself on making durable, lightweight canoes that are still affordable for recreational paddlers. “The epoxy resin is pretty amazing stuff. You can go over a rock or wrap around a bridge and it flexes very nicely,” he says. 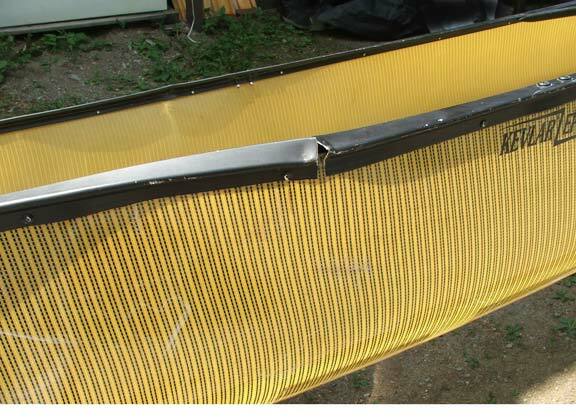 Jim Fahey of Argosy Composites did the actual repair work through Carl’s. 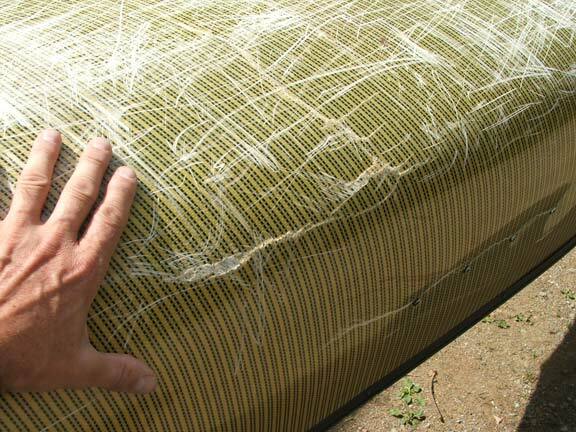 Despite needing 52 patches, he says the boat wasn’t that badly damaged. 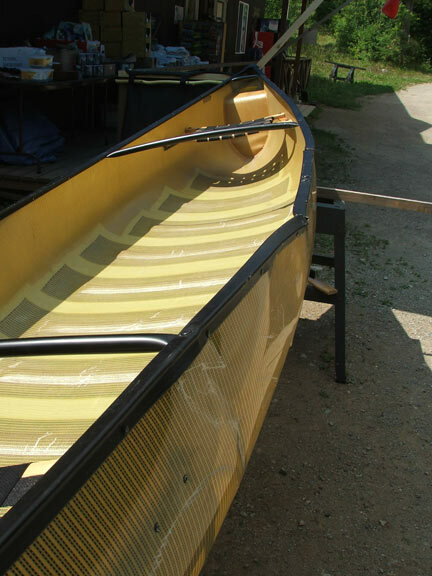 So freshly recoated and looking nearly new, the Prospector should be on the water sometime this spring. Then it’s back to Dunkirk to face my Waterloo.